One of the most fruitful areas of research, as judged by the very large numbers of new cancer genes identified, has been the molecular analysis of recurrent chromosomal translocations. 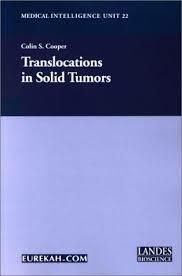 The original concept that gave rise to this book was that key scientists involved in the original isolation of the genes involved in each recurrent solid tumor translocation would be invited to write a chapter. Their work has provided remarkable insights into the molecular basis of the development of human cancer and in some cases provide clues to the possible cell of origin of the tumor and to relationships between different tumor types. It is apparent that many of the translocations represent extremely useful diagnostic and prognostic markers that may be used in the clinical management of cancer patients.